Comfort to Comfort: Liquid I.V. For most of my life, I have NOT been an athlete. Memories of being the last kid picked when choosing teams back in elementary school, getting hit in the face while trying to catch a softball in the backyard, being startled and confused by that alarming whistle blown almost the instant I attempted to dribble the basketball in a high school intramural game (I was forced to participate) are still etched in my forty-something adult brain. Oh, and I will never forget my glorious moment in sixth grade when I finally scored a point in hockey. Jumping for joy and lifting my hockey stick in the air felt like such a victory until I realized my teammates were shaking their heads, “No!” My horrific error was publicly pointed out in front of everyone in P.E. class - I had scored a point for the other team! My spiritual life has been a lot like my athletic ability. There have been times where I was completely taken off guard, felt as though I was not good enough, struggled with self-comparisons, insecurities, doubts, guilt over past sins and failures. And oftentimes preceded by those struggles were excitement, passion and motivation in serving the Lord in some area of ministry, or a commitment to spending more time in prayer and Bible study. What usually begins with much energy and ease, soon grows weak and weary, or admittedly, sometimes lazy. Sometimes I have wanted to just quit. There have been times I became too comfortable sitting on the couch watching TV, content to let others use their spiritual gifts in areas that I knew deep down I should still be doing too. Running is something you must train your body to do. In fact, I’ve said many times in my life that I couldn’t run. I truly thought God did not make me to be a runner, but the truth is I had not learned endurance yet. I would start off running hard and quickly get out of breath, resulting in my either having to stop, or walk. Just as with the Couch to 5K, or similar programs, running eventually happens by walking and then running for various intervals of time until your body becomes used to running for the entire time. And if you are inconsistent in the training process and miss several days, chances are you will have to start all over again. Endurance happens when you keep going. You can’t cave to exhaustion and you can’t quit. Recently, I have been training for a 10K (my first one). Therefore, I have been running further distances. Somewhere around mile 4 or 5, I get tired and begin to converse with myself as to whether-or not I think I can go on. One thing that gives me confidence is knowing that I have hydrated myself. Simply said, without proper hydration, we get tired and wear out. Last weekend, I used a product called Liquid I.V. 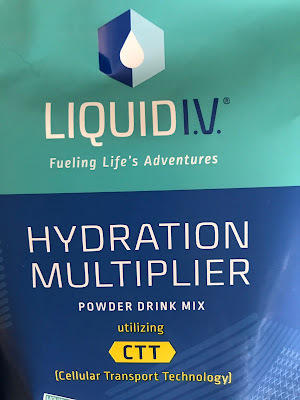 – a hydration multiplier that I purchased from my local GNC store. It states on the bag that it can provide the same hydration as the equivalent of drinking 2-3 bottles of water. 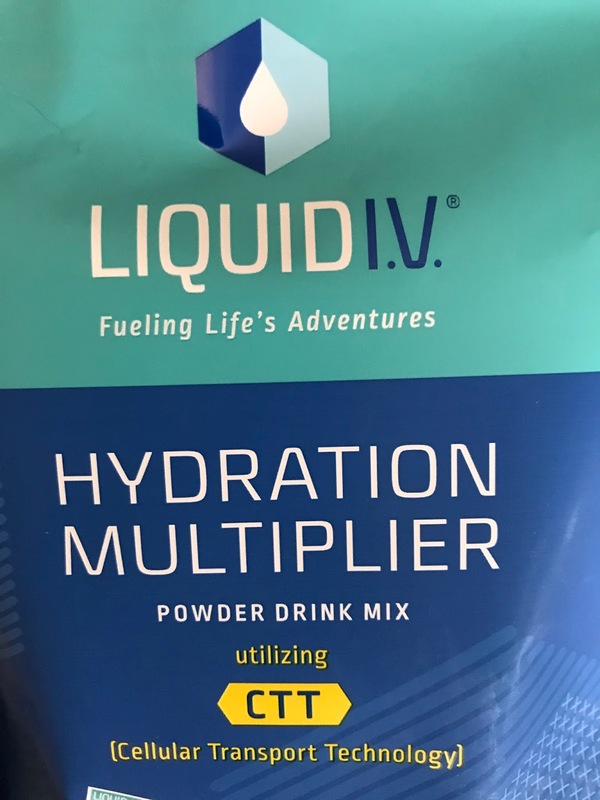 It’s a powder that you add to your water bottle and it works in your system by delivering hydration directly to your bloodstream, which is much faster than drinking water. I experienced a much better run as a result, without the usual tiredness in the middle. The Living Water. Our Ultimate Hydration! Running hard for Jesus means we must stay hydrated in Him. Just as water is vital for human life, Jesus is our Liquid I.V. – the Living Water running through us. He is our burst of energy when we feel like we can’t go on. What about you? Could you use some spiritual endurance, too? Keep thinking of Him in all things. Don’t look back at past failures or dwell on our weaknesses. Focus instead on His strength and what He endured for us. Through His power we can go the distance He is calling us to. And we can finish the race! Let’s continue training daily and not give up! © 2018 by Christy Long. All rights reserved. Lives in Midway, North Carolina, she is a domestically challenged wife and stay-at-home mom (loves to cook, hates to clean). 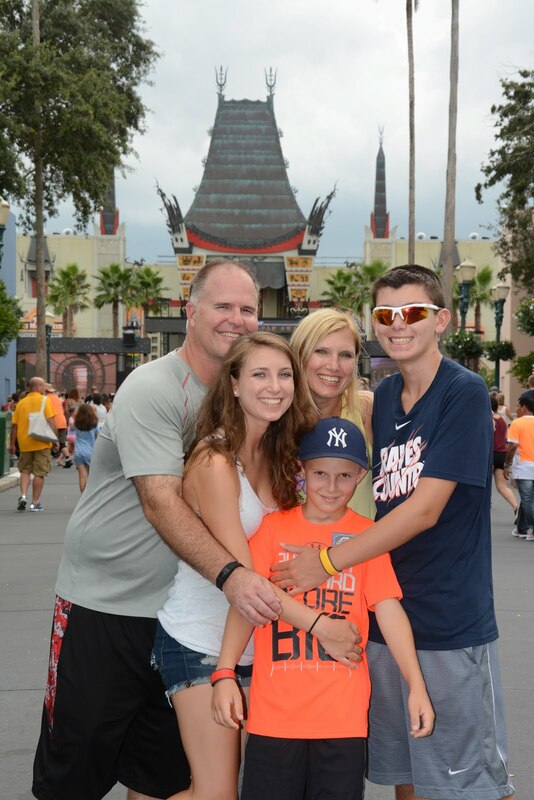 Appalachian State graduate and now AppState mom to two adult college kids and one active middle school son. She is crazy over her fur babies, a black cat and a black dog (always keeping a lint roller handy). Loves Jesus and her church where she teaches Sunday school to the Senior High Youth and sometimes adults, cherishes her ladies prayer group, and helps lead Divorce Care for Kids. Christy enjoys digging into God's Word, reading Bible commentaries and writing. She became a runner girl in her late forties, originally because she is a foodie, but now as a way of staying healthy and relieving stress. Always ready to travel and will pack her bags as soon as anyone mentions Disney! Still believes the Big 80's was the best musical decade and is full of worthless pop rock trivia! Blessed. Blended. Dependent on God's Grace. Copyright 2016 by Christy Long. All Rights Reserved. Watermark theme. Powered by Blogger.